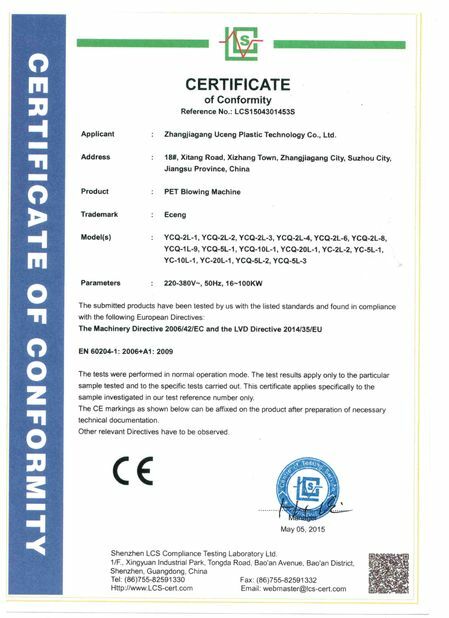 YCQ Full automatic Bottle Blowing Machine is suitable for producing PET plastic containers and bottles in all shapes. Bottle Blowing Machine is widely used to produce the carbonated bottle, mineral water, pesticide bottle oil bottle cosmetics, wide-mouth bottle and hot fill bottle etc. 1). 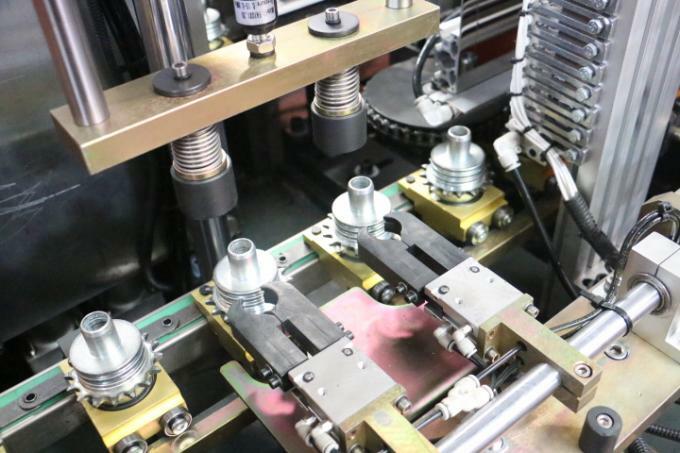 Bottle Blowing Machine has Stable performance with advanced PLC. 2). Bottle Blowing Machine has Automatic preform conveyer to save human cost. 3). Bottle Blowing Machine has Preform self-rotation and infrared pre-heater revolution assure the even distribution of heat, which improve the water bottle shaping rate, increase the production. 4). Bottle Blowing Machine has High adjusting performance to enable preheat the preforms perfectly by adjust the voltage control area in the PLC, which could adjust the temperature of the infrared lights in the pre-heater, and keep the proper temperature and humidity invariable. 5). 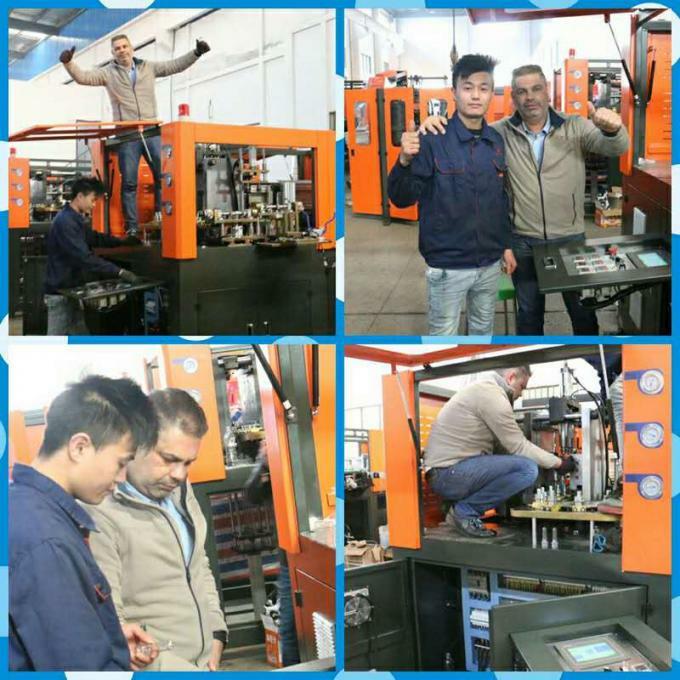 Bottle Blowing Machine has High safeties with security automatic-locking device in each mechanical action, which will make the production into a perfect safe environment, in case of the breakdown in certain procedure. 6). 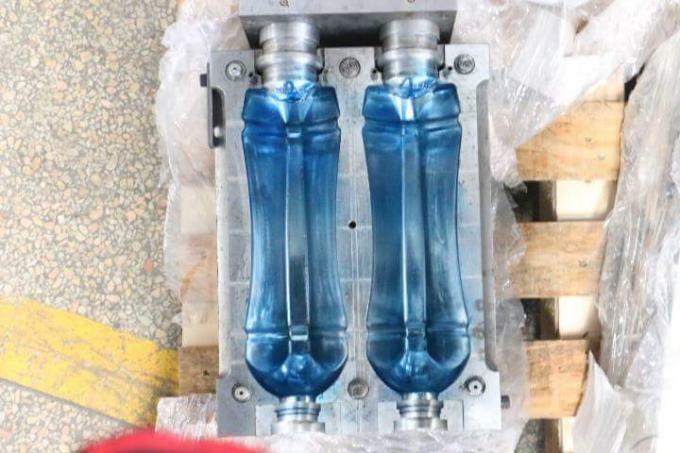 Bottle Blowing Machine Introduce air cylinder to avoid contamination and noise. 7). Bottle Blowing Machine is Satisfaction with different atmospheric pressure for blowing and mechanical action by dividing the blowing and action into three parts in the air pressure diagram of the machine. 8). Bottle Blowing Machine has Strong clamping force with high pressure and double crank links to lock the mould. 9). Bottle Blowing Machine has Safe,reliable and unique design of the position of valve to make the pneumatic diagram in the machine easier to understand. 10). Bottle Blowing Machine has Ideal cooling system make the finished bottles without any flaws. 11). Bottle Blowing Machine is Easy for you to install,test and start up. 12). 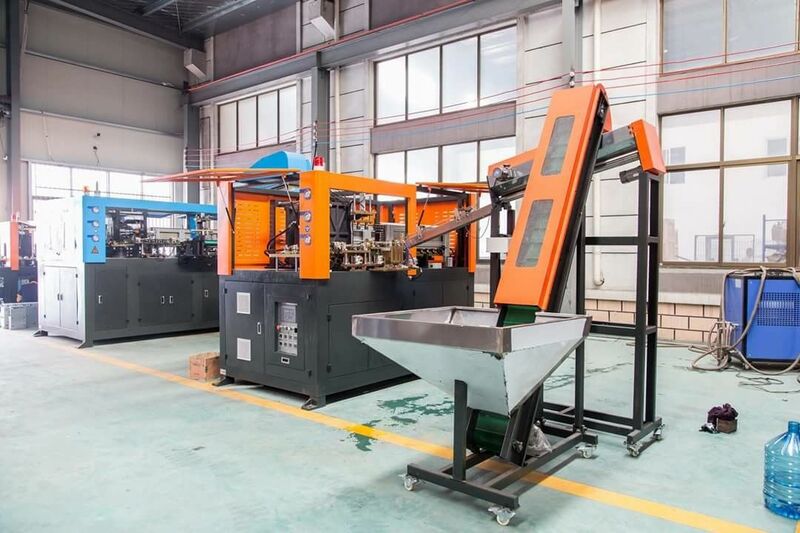 Bottle Blowing Machine has Low rejection rate: less than 0.2 percent. 3. What the siza of the propducts? 4. Waht is the raw material? We have 1 year warranty, and lifetime maintenance. Within one year, if there is some accessory going wrong, we will send you the accessory at once, free of charge. 1). Within one month, if the machine is of any big fails, we will send you a new machine. 2). Within one year, if you send back the equipment for repair, we will be responsible for the repair, including the changes of accessories; Both of them are free of charge. 3). After one years, we offer to repair the machine, but we quire for the cost of the changed parts, not for manual cost. 4). No responsibility for man-made destroy. 5). If the buyer has any questions from our technical department, we can supply on-line service Or we can send professional engineers to help you debug them. Welcome to contact us about our Bottle Making Machine .